Scoring targets. Grease rings and overlays. 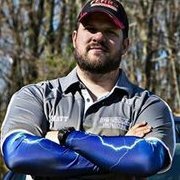 - USPSA/IPSC Rules - Brian Enos's Forums... Maku mozo! Not realy a rant but kinda.....I've not made it thru a single USPSA match, club level or level 2 or 3, where I haven't seen an RO score a target incorrectly at least once. Every instance I've seen goes like this, hole is very close to the perf. The call is to the bullet side. I say you sure? They say yes (sometimes they say grease ring doesn't touch). I say that needs an overlay. They pull out the overlay and just use one to line up the perf then say no it doesn't touch. I ask them to use both. I've seen a few that don't know how to use both. I had one person that is a CRO (I checked his profile) tell me they were never shown how to do that (use overlays). 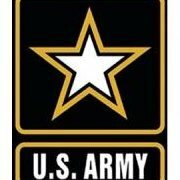 I had the RO at match I shot yesterday overlay a hit on a NS that he didn't call. After overlaying it was a NS. I was the shooter. Yeah, it's was a club match but still. And yes I know there's just gonna be inconsistencies here or there but shouldn't we try to minimize them as much as possible? Maybe I'm the only one this annoys or the only person that sees it happen, idk? Using overlays isn't all that complicated - and it doesn't take many seconds to dig them out of a pocket for the occasional borderline hit. I took the IPSC RO course in my corner of the world. A pair of overlays was included in the course fee. So were an explanation of their use and an admonition to use them. They covered it in my training class. But then, I already knew how to do it for myself When I am working a major, typically, I will pull out the overlays if there is any hesitation on the call. Then shooter doesn't have to ask*. The "grease ring, crown, etc" is usually a bit smaller in diameter than the printed diameter ring printed on the overlay. And question about the hit: overlay. 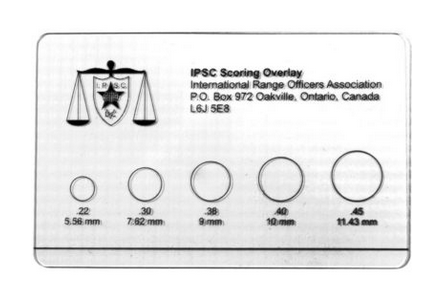 I just wish that the USPSA overlays had the printed line like on the IPSC overlays. 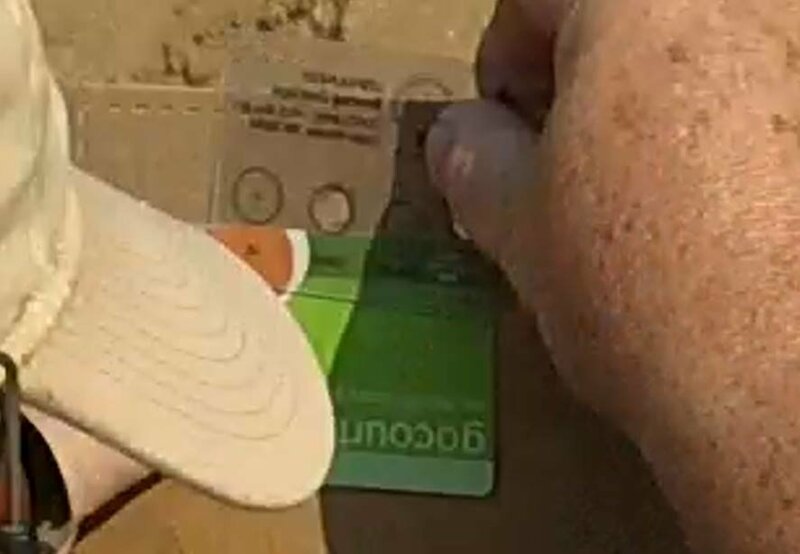 It is easier to see than the edge of the card when identifying the perf. * I have had more than one shooter say "never mind" when I pulled out the card. This! It is best practice to pull out the overlays on anything not obviously hits in the middle of the scoring zone. If something is so close to make me look twice I overlay it. Same with one hole in the middle of the A zone and no other hits. This shows you are not just half assed scoring targets and goes a long way towards heading off any debate that might have been coming. The "grease ring, crown, etc" is usually a bit smaller in diameter than the printed diameter ring printed on the overlay. this is the part that many people don't seem to understand. if the edge of the visible grease ring is anywhere *close* to the perf, the actual bullet diameter might very well touch it. How often do you folks find a need for the second overlay? Wouldn't have a problem using both if that made the shooter happy, just seems rare when things are so close that 1 does not make for a solid conclusion. usually only if the perf is covered up by tape at the spot I'm measuring. At club matches, not all that are serving are trained ROs. Of those that are trained, some say ‘it’s a club match, I don’t need to be as exact.’ Bad habit to get into. If I’m going to RO, there are three things that go into my pocket: 2 overlays and a zip tie. Use the overlays as needed to score the target. If it’s close, use them. If the perf is covered by tape/pasters, use 2. The use use of the zip tie is left to the student. But I've seen a lot of folks just is it as the edge for the perf even when you can clearly see it. I'm like, uh....we can already see the line. So, yes you don't always need two but you gotta use them when needed. And yes, I will ask/do it even at a club match. I usually don’t use two for perf checks unless really slathered with pasters. But generally use two when verifying a double vs, Mike. It surprised me how many people think it's the grease ring that scores. I get it for the folks who shoot moslty IDPA but if you shoot mostly or all USPSA then you should be worried about the grease ring. It really just boils down to most people are there to have a good time. There not nearly as concerned with the fine print rules as much as others are. I just have to say I love the shooters in my area, we have a bunch of certified ROs CRSs so squads always have several people that know whats going on, and they are not afraid to ask for or just use a overlay whenever there is any question on scoring a target correctly. At our last club match I was the RM when a shooter had a scoring challenge by the time I got to the stage they had the target pulled and replaced and were running shooters RO who made the call and shooter were both patiently waiting with the target, it was all so professional. You mean you aren't supposed to use your supermarket rewards card as the bottom overlay? But can you use overlays for discounts on gas? Actually appears to be easier to see the distinct bright card edge under the clearish but overlay colored overlay than it would be to see the edge of a clearish but overlay colored overlay underneath another clearish but overlay colored overlay. I'd file it under better ideas. My Overlays have a black line to clarify the perfs. No need to look for the edge of the plastic. That is a hotel key, thank you. And another great picture of my back/head. Some of us have a near lifetime supply of the old school ones for club matches and such. And as Jay says, a hotel room key card works great as a straight edge. Especially when both of the ROs on my stage forgot to bring their own overlays to work a major and we're sharing mine. "...clearish but overlay colored overlay than it would be to see the edge of a clearish but overlay colored overlay underneath another clearish but overlay colored overlay. " The right tool for the job IS the right tool for the job. An overlay is cheaper than most right tools. And sometimes good enough is good enough. How many years did we Bring Our Own Straightedges? It's not a matter of economics, but rather geography -- the stack of extra overlays on my reloading bench at home is harder to reach than the hotel room key in the back pocket of my shorts.